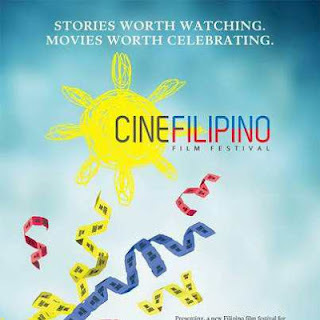 CineFilipino 2012 Film Fest ~ Philippine Freebies, Promos, Contests and MORE! Calling all filmmakers! Get those entries ready for the CineFilipino 2012 Film Festival. PLDT Smart Foundation, in association with Unitel Productions, is here to support and develop new cinematic works of artistic worth by new and established filmmakers that help define the human experience through a Filipino perspective. There are two (2) categories to choose from: Feature-Length Narrative Filmmakers (for experienced filmmakers) & Shorts Filmmakers category (for college students). Eight (8) finalists for the Feature-Length & ten (10) finalists from the Short Film section will be selected and screened during festival week. While no seed production grant will be provided for the Short Film finalists, the eight (8) selected Feature-Length finalists, however, will each receive P1.5 million seed grant as investment into their production. Cash prizes at stake for the Feature-Length category are P500,000, P300,000 and P200,000 respectively. On the other hand, P100,000, P75,000 and P50,000 are to be given away to the Short Film category.